Parmigiani Fleurier launched the new Kalpa Kalparisma at SIHH 2018. 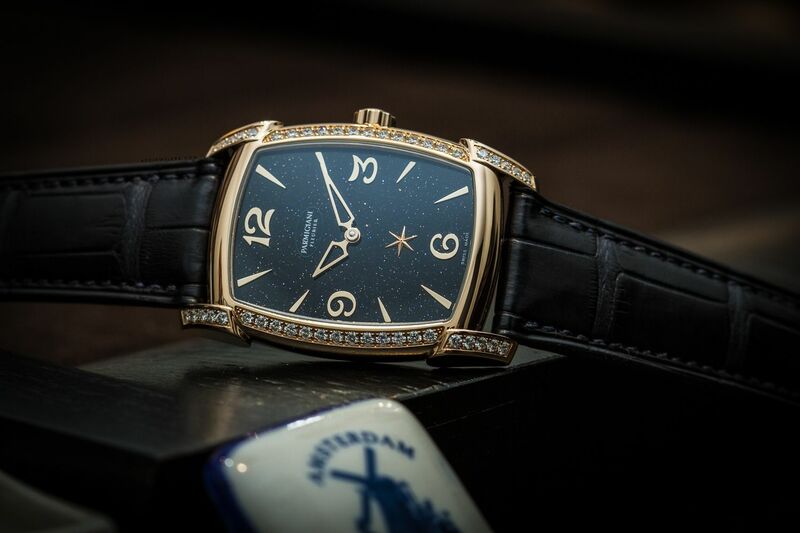 The 18K rose gold case is measured at 37.5 x 31.2mm and is set with 46 diamonds, totalling 0.83ct. The case thickness is 8.4mm. The mid-night blue aventurine dial with applied index features hours, minutes and a small seconds (the Nova star positioned at six o'clock). 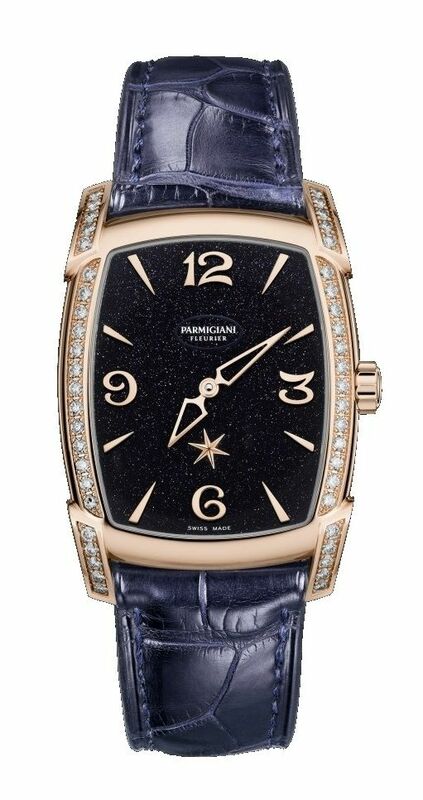 This beautiful ladies watch is powered by a self-winding movement, caliber PF332, with 55 hours power reserve. 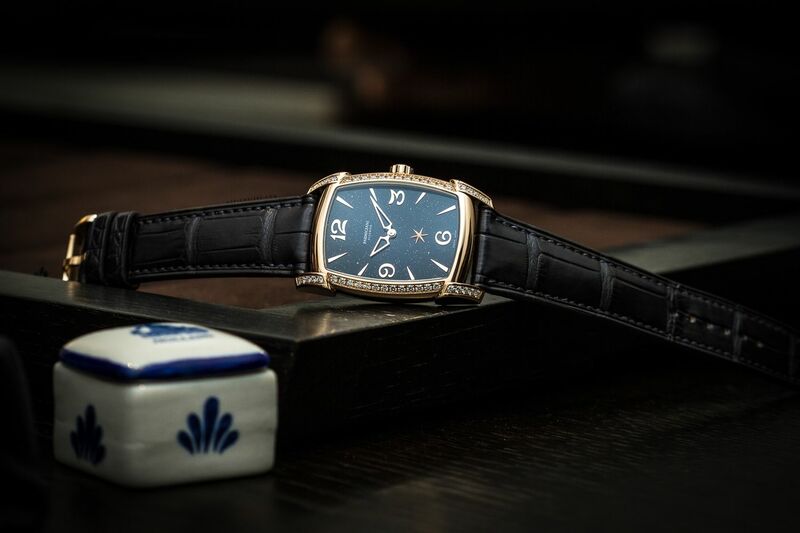 Nice touch, the movement can be admired through the sapphire crystal case back.It's presented on a blue alligator strap by Hermès with an 18K rose gold pin buckle.